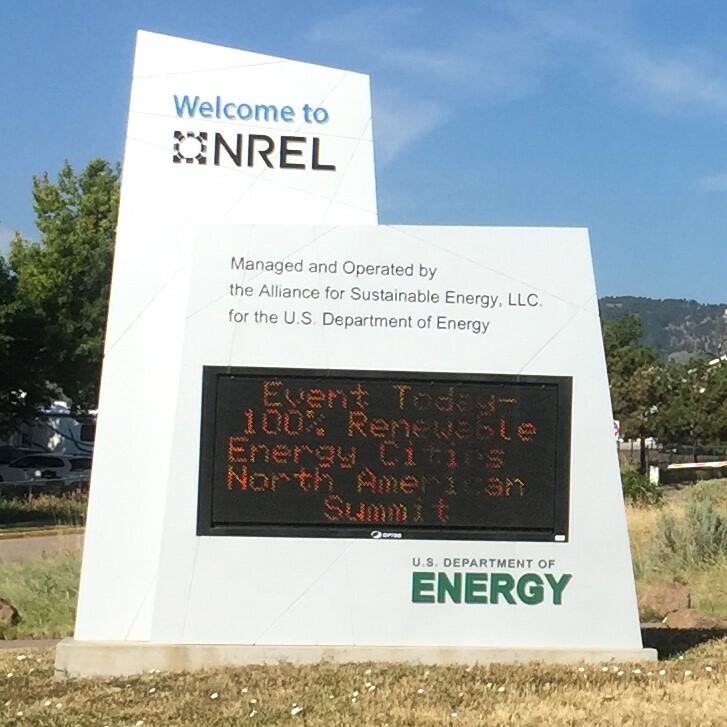 From July 31-August 1, 2017, Renewable Cities took a road trip to Denver, Colorado where we co-hosted a dialogue with cities spearheading the transition to 100% renewable energy. 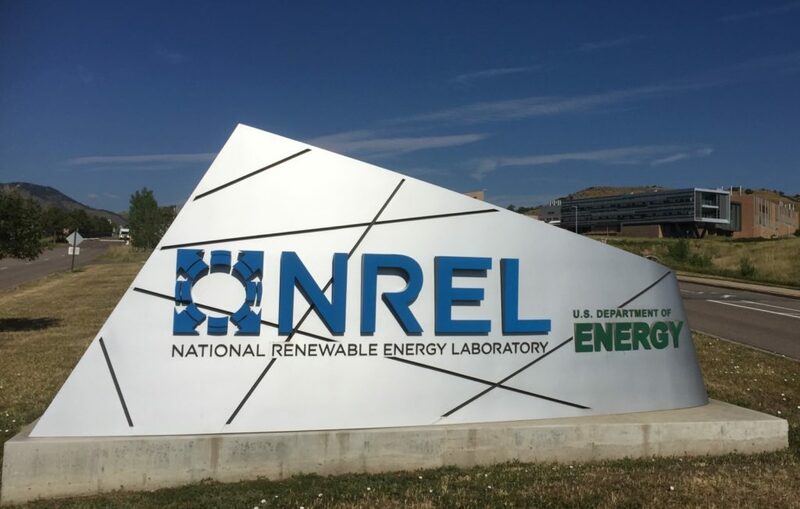 Where better to learn firsthand what is possible than at the National Renewable Energy Laboratory (NREL), a centre for leading-edge research and development in renewable energy and energy efficiency. 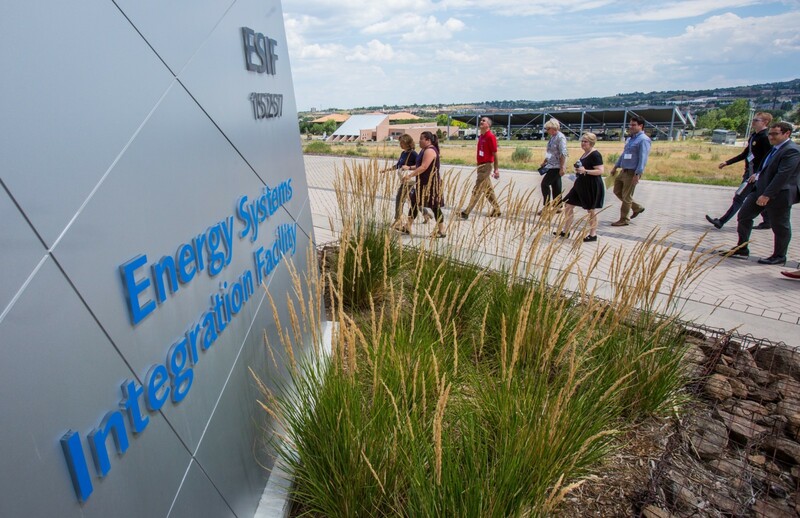 NREL’s facilities are nothing short of inspiring, and we toured but a fraction of the campus. Home to the largest net-zero building in North America where maximizing personal comfort and access to natural light were principles that drove siting and orientation decisions. After touring the facilities, we sat down with experts from NREL and partner organizations to discuss current priorities developing in the urban renewable energy community. The panels focused on feasibility, success stories, and the role of equity in urban energy transitions. 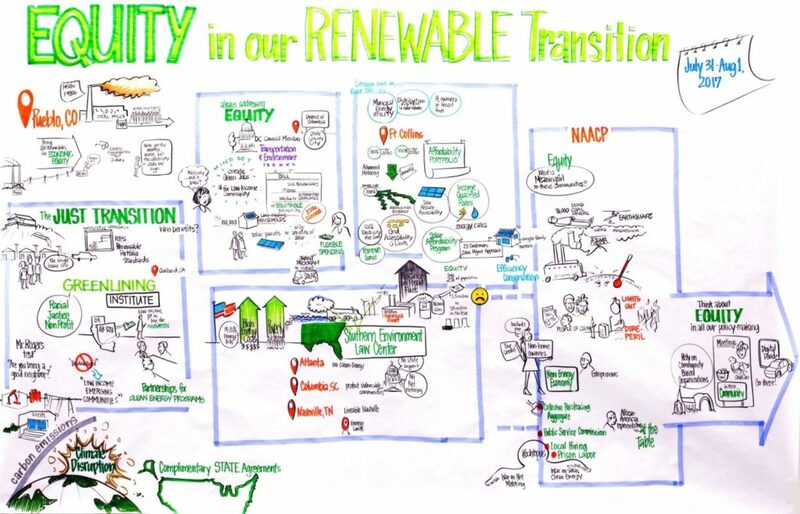 Madeline Stano, legal counsel at Greenlining Institute, spoke of the health repercussions she suffered as a result of growing up in a coal town and her mission to ensure low-income and people of colour benefit from a just transition away from fossil fuels. John Phelan described ways Fort Collins’ municipal utility centers its programming around equity. 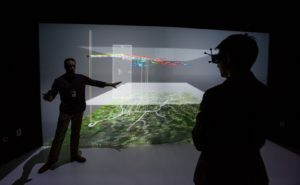 For example, the utility provides financial assistance for solar installations, according to need, and connecting customers with local resources to improve the energy performance of their homes. We would have liked to attend all ten parallel workshops, but could attend only two. The first was a workshop led by Kimiko Narita, Deputy Director, City Energy Project out of the Natural Resources Defense Council (NRDC). NRDC has been running a building efficiency program designed to help 20 American cities retrofit their existing building stock. These case studies are provided online. The second was a hosted Bryn Baker, Manager, Renewable Energy at the World Wildlife Fund (WWF) about the Renewable Energy Buyers Alliance (REBA), a platform that helps corporations aggregate their energy procurement. With its partner, World Resources Institute, WWF is seeking to understand how best to help cities join the alliance and aggregate local government energy procurement decisions into the platform. The event wrapped up with participants leading the discussion. 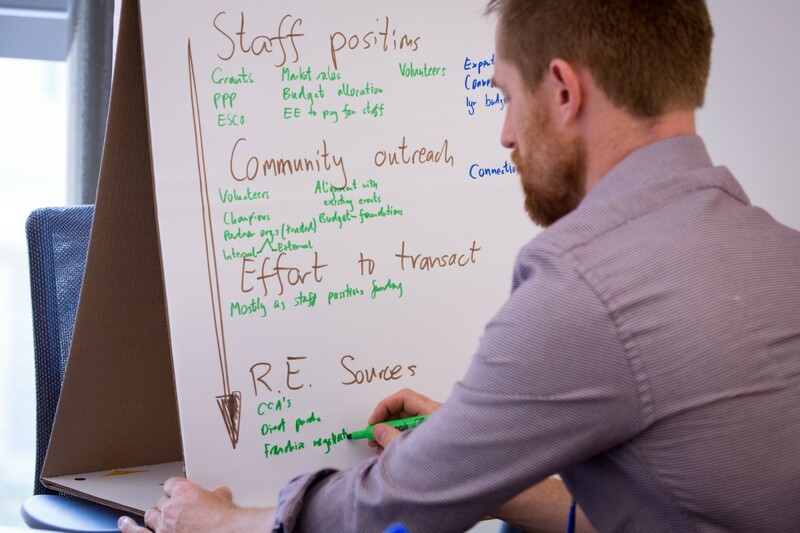 Through pre-dialogue surveys and by posting questions as they emerged during the event, small groups assembled around hot button issues that need deeper work. 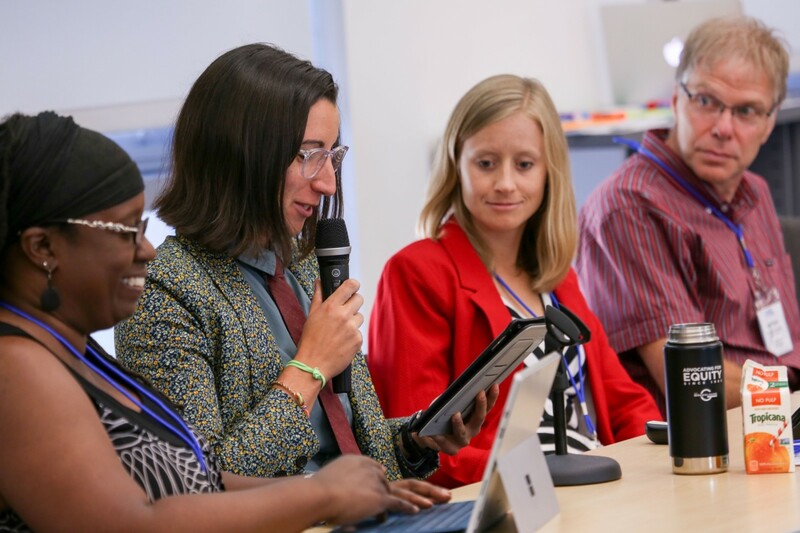 The most popular discussions were on planning and equity, although building efficiency drew a healthy presence, which was a shift from the first dialogue in 2016. We will continue to post follow up activities and events, and to share the results of this dialogue, once they are developed.